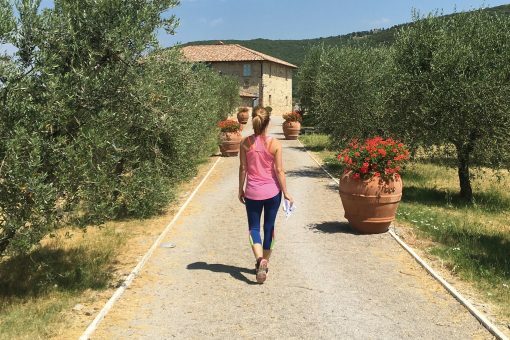 A Pilates break in beautiful Italy is perfect for body & mind. Find out more & get your brochure! Flavours have teamed up with some wonderful Pilates teachers to put together a series of Pilates holidays in Italy. It’s the perfect mix relaxation, health and fitness: daily classes with a professional instructor and cookery lessons with the Flavours cooks. A course in Italy is the perfect break for any age, whether you’re a total beginner or have years of Pilates experience. Our Pilates courses are led by experts who teach the body control technique, a method of Pilates with a huge amount of physical advantages from getting fit and toning your body to combating back problems and arthritis. You’ll be part of a small group, giving you plenty of time during your daily Pilates lessons to work with your Pilates instructor at your level – it really is suitable for any age or ability and the course is guaranteed to leave you feeling truly rejuvenated, healthier and refreshed. Where would you like to go on a Pilates retreat? Our Sicilian venue is the perfect setting to enjoy a re-energising Pilates retreat. Take in the spectacular scenery whilst enjoying Pilates lessons under the sun. Our beautiful venue in Puglia is a fantastic place to relax body and mind. 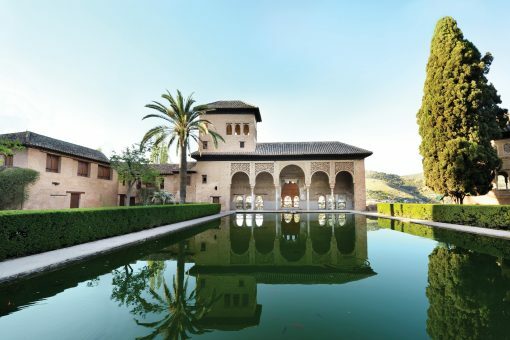 Feel better than ever on a Pilates week in the perfect warmth of Andalusia. Our Andalusia Pilates holiday is a brilliant way to treat your mind, body, and soul to a rejuvenative holiday. Open up your horizons and come on a pilates holiday for solo travellers! With Flavours you will be in reliable hands, where we will book your excursions, meals and transfers while in Italy with no single room booking supplements. We will make sure that from your arrival you will feel completely relaxed and at home in your villa accommodation with a small group of like minded fellow solo travellers. With our expert instructors on our solo pilates holidays, you will be feeling free and a lot more in control of your body, giving you more confidence in your new-found strength and abilities. Booking a solo pilates holiday will mean that you will be putting yourself first, and won’t have to compromise on what you want with what your relations want. Solo pilates holidays allow you to be exactly who you want to be, and not the roles you take on with other people you know. Maybe you will feel more confident trying to speak some words of Italian in front of strangers? Flavours has even found that going on a solo pilates holiday improves your mental health! You will leave from Italy with a fresh outlook on life and a new love for controlling your body through Pilates. Are you not so excited about exercising through pilates? We want you to love your solo holiday, so you can choose from other holidays in photography. 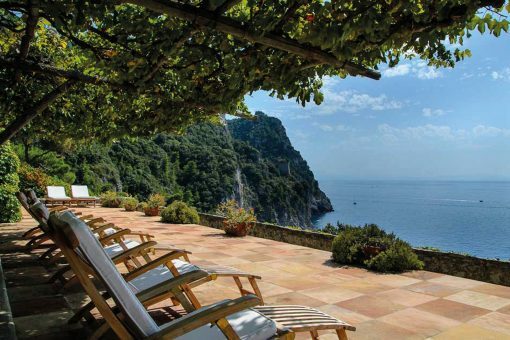 painting, language and cooking holidays in different locations around Italy and Spain.